Omega-3 and omega-6 fatty acids are essential in the diet of cows and cannot be synthesized by the animal. Adexgo Lt. developed a special bypass product with omega-3 and omega-6 fatty acidcontents, called “REPRO-GO”, which can be successfully used for dairy cows to improve the results of reproduction biology. 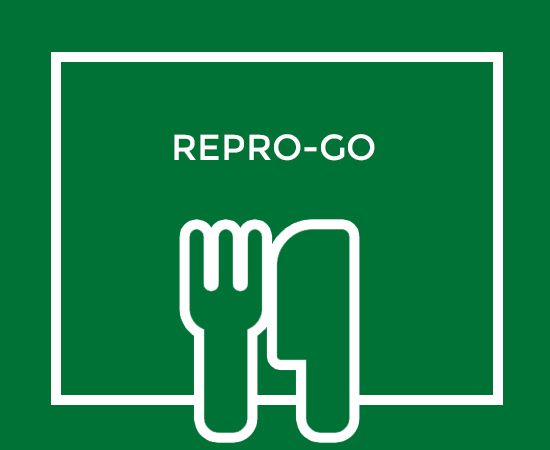 REPRO-GO which contains minimum 40% fat is produced using a special manufacturing process. As initial materials we use fish oil with high EPA (C20:5) and DHA (C22:6) contents, linseed with ALA (C18:3) content and natural antioxidants (tocopherols) as well. The most important fatty acids of this group are ALA (α-linolenic acid; C18:3) and EPA (eicosapentaenoic acid; C20:5) or DHA (docosahexaenoic acid; C22:6) which can be synthesised from dietary ALA. Seeds and seed oils are the richest sources of ALA (e.g. : rapeseed, soybean, linseed), while EPA and DHA are available from fish oil. The most common fatty acids of this group that can be found in the largest amount in food and feedstuffs are LA (linoleic acid; C18:2) and AA (arachidonic acid; C20:4) which is synthesised from LA. The most important LA sources in animal feeding are sunflower oil and cereals (e.g. : corn). Neither the linoleic acid nor the linolenic acid can be produced in animals, so they are considered as essential fatty acids and they must be acquired through diet. International research works showed that reproductive indicators were improved when plant origin bypass fat (e.g. : soybean seed, linseed and cotton seed) rich in PUFA (e.g. : linoleic acid, linolenic acid) was fed to cow. Reproductive indicator such as the time from calving to the first follicle growth was reduced, fertility and conception rate were significantly improved and significantly shorter calving intervals were found. Symptoms of oestrus became more pronounced and lower dose of prostaglandin was needed to induce luteolysis and oestrus. Fat supplements rich in omega-3 fatty acids (e.g. : ALA, EPA, DHA) significantly reduced the rate of embryo mortality compare to other sources of fat (Mattos et al, 2004; Petit and Twagiramungu, 2006). The reason is that omega-3 fatty acids reduce the synthesis of PGF-2α in the ovary and in the endometrium. As a consequence sources of omega-3 fatty acids (e.g. : linseed) are widely used all over the world (e.g. : Ireland and Italy) in the feeding of dairy cows.